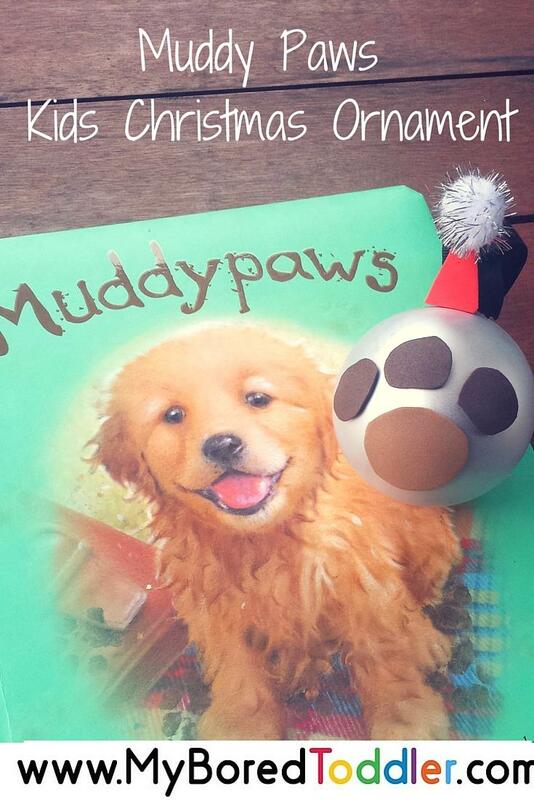 My girls were very excited to make a “Muddy Paws” ornament (we actually made two – one fore each of our dogs) and they had a lot of fun too. This ornament is really really simple! With toddlers it’s best to keep the activity easy! 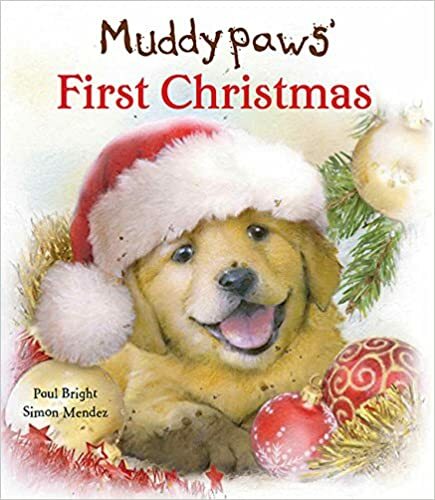 Read Muddy Paws First Christmas! Cut out a large oval and 3 smaller oval shapes from the brown adhesive felt. Tie brown ribbon to the top of the bauble and hang up! You can also visit here to find the full list of participants and over 70 ideas! You might also like our Toddler Christmas Gift Guide and Toddler Christmas Activities. My boys were reading this over my shoulder and have insisted we make one for our dog Alvin! How cute! We had to make one for each of our dogs too! What a great idea for dog lovers! So cute! Dogs really are family members. 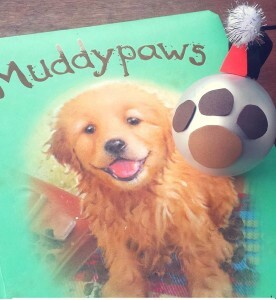 the book and ornament are a great way to include the family pet in the holiday festivities. Adorable craft! I’ve never read the book, but I’m sure our daughter would love it. I’ll have to check it out! So perfect for kids who love Christmas and dogs, perfect combo. Thank you for the clever idea. Pinned and shared. Woof Woof! We have a few of those in our house – ours may be MEOW related – but still muddy and still paws!! Love this!